Honoring mothers from around the world! 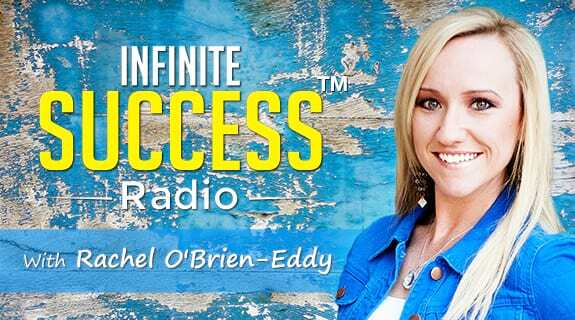 Join Personal Transformation Expert, Author, Speaker, and Success Coach Rachel O’Brien-Eddy for a very special Mother’s Day weekend episode of Infinite Success Radio. Discover the #1 secret Rachel used to transform her life plus enjoy FREE giveaways throughout the show! Do YOU have a special message of gratitude for your mom? Email it to us today at Radio@ConnectWithRachel.com for a chance to have your message read on-air. Then listen live Friday May 9, 2014 at 8 am Pacific 11 am Eastern. When emailing please include your name and town.